Actor Ranbir Kapoor is busy with the promotions of his upcoming movie Jagga Jasoos. The Anurag Basu-directed film faced several roadblocks which resulted in its release date being rescheduled many times. Jagga Jasoos marks Ranbir Kapoor's debut as a producer. 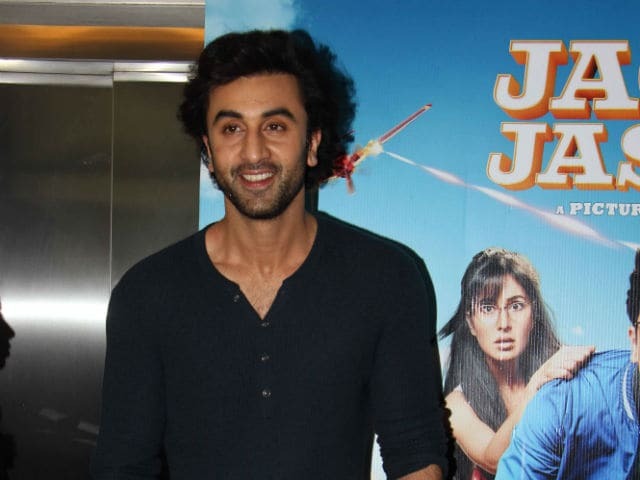 During the trailer launch of the movie, the 34-year-old actor revealed that he had to be 'patient' with Jagga Jasoos as a lot was being written about the film - 'mostly negative,' reported news agency PTI. "I had to be patient with the film. There was so much being written about it, mostly in a negative light, so to fight back these things and focus on the work was a big issue. But Anurag Basu is so much fun, it all went smoothly," PTI quoted the Barfi! actor as saying. Ranbir Kapoor also said that there were moments when the makers of the film thought of 'shelving' Jagga Jasoos. "We had a lot of these moments. All three of us (including co-star Katrina Kaif) used to discuss, what is happening in the film, what we should do. But in the end you have to go back to the first moment when you heard the story and were moved. If you remember that feeling as an actor, it keeps you going," PTI quoted Ranbir Kapoor as saying. Ranbir Kapoor, who dedicated nearly four years to Jagga Jasoos, said that he is 'happy with the outcome' of the film. "Eventually, when I saw the film I thought what dada (Basu) narrated to me three and a half, four years back he has made that film. There was negativity but he still maintained his sanctity as a filmmaker and made the film," PTI quoted Ranbir as saying. "We shot for nearly 150 days and in between I did three films, Katrina did two films. So, it took time. But we didn't re-shoot anything. Because I had put on weight shooting for Sanjay Dutt (biopic), so there was a problem but we managed it," he added. Jagga Jasoos is Ranbir and Katrina's third film together, after Rajneeti and Ajab Prem Ki Gazab Kahani. The duo will be reuniting on the big screen after a gap of seven years. Jagga Jasoos will release in theatres on July 14.